In our Enterprise Development Programme we are proud to be assisting and developing two community based entrepreneurial businesses that offer much needed community upliftment, training and job opportunities. 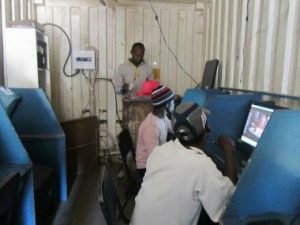 Triple M Internet Café – A small business that offers internet, computer training, support to children of the community to do school projects, compiling of CV’s, online job searching and applications, general typing, photocopying and printing. 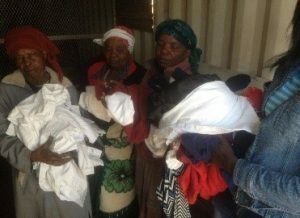 The Spazatainer – a small business that is run by the ‘Gogo’s’ of the community whereby they sell second hand clothing and run a recycling project encouraging members of their community to collect recycleable items in and around their community. The ‘Gogo’s’ also have a vegetable garden which the community benefits from.